Jesus has already spoiled what is supposed to be a party by talking about being betrayed. Now we move on to something even stranger. 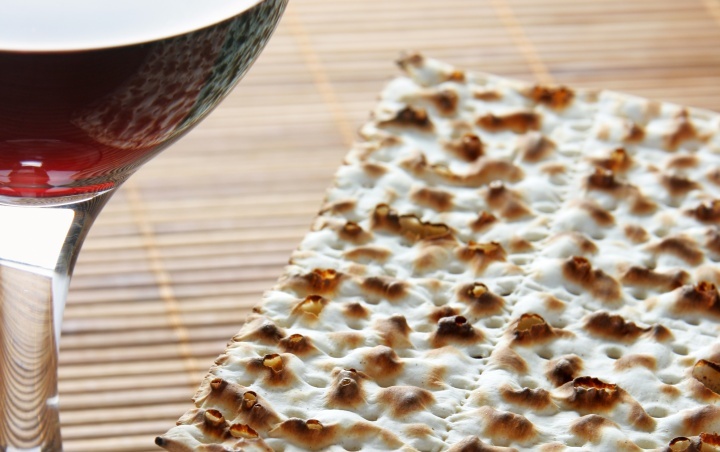 Four cups of wine are drunk at a Passover meal, which tie in with the Exodus. The four cups are drunk as toasts as the following words are said. The fourth cup is drunk to the psalm, so what Jesus does strange happens when the third cup is drunk, towards the end of the meal. Jesus says that the bread and wine are his body and blood. As Christians, we are used to hearing this language frequently at a Communion service. But imagine that you are one of the disciples hearing Jesus say this for the first time. Even if you have heard Jesus using hyperbole in his teaching before, like saying a man had a wooden beam in his eye, this would be weird. The disciples did not have the hindsight that we have and did not understand that in the next few hours Jesus would be arrested, tried and executed. Jesus says the cup is his blood poured out for many for the forgiveness of sins. This is not for the few, this is for many. Are you feeling guilty for something? Does someone have a grudge against you? Do you bear a grudge? Come to Jesus for forgiveness. Jesus says he will drink wine again when he comes with his Fathers Kingdom. Through the victory on the cross, Jesus will come again and set up his Fathers kingdom. Jesus will return, the victory already completed.